February 23, 2018 – A Southwest Research Institute scientist with expertise in how water reacts with lunar soil contributed to a new study that indicates water and/or hydroxyl may be more prevalent on the Moon’s surface than previously thought. Up until the last decade or so, scientists thought negligible amounts of water were present on the Moon, perhaps existing mainly as ice in the permanently shaded craters near the poles. However, in 2009, NASA’s Moon Minerology Mapper spectrometer onboard India’s Chandrayaan-1 spacecraft and two other NASA flight spectrometers detected signatures interpreted as water in sunlight reflected from the Moon’s surface. These data, along with measurements from NASA’s Lunar Reconnaissance Orbiter (LRO), also indicated the amount of water on the surface could vary diurnally ― a cycle based on the time of day ― and be more common at higher latitudes. One of these measurements came from the Lyman Alpha Mapping Project (LAMP), built and managed by SwRI. 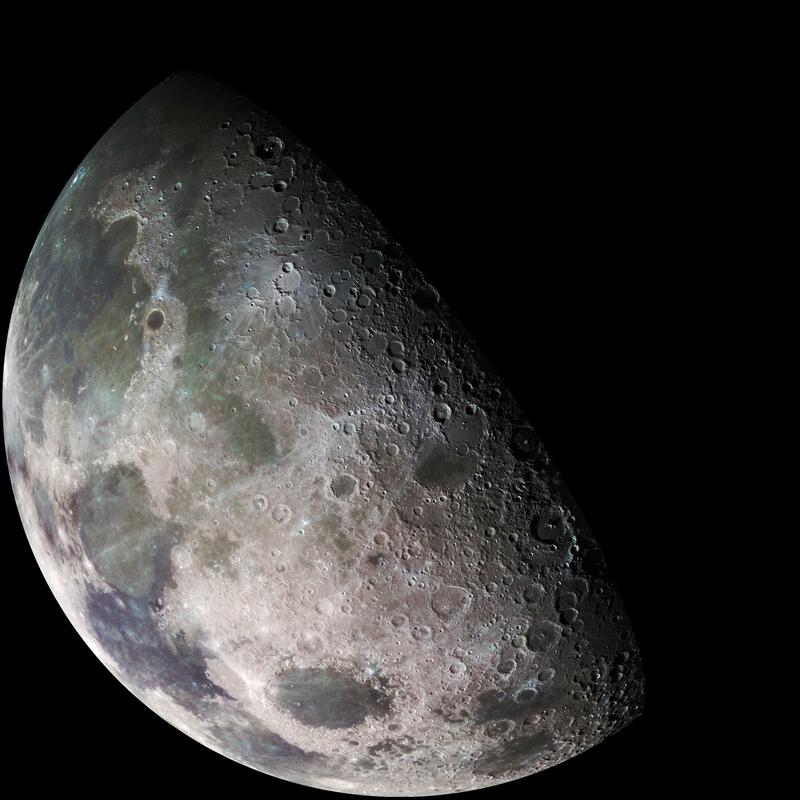 The Moon produces a mixture of reflected and emitted light. It glows in the infrared when heated by the Sun, and its surface reflects infrared light from the Sun. Using detailed surface temperature maps from the Diviner Lunar Radiometer Experiment on LRO and thermophysics modeling, Bandfield could subtract the right amount of Moon glow from the reflected sunlight to better characterize the inferred measurements of water. Poston has conducted extensive experiments with water and lunar samples collected by the Apollo missions that revealed the amount of energy needed to remove water molecules from lunar rock. This helps scientists understand how tightly water is bound to surface materials. Based on the team’s results, it appears that OH/H2O is present on lunar surfaces under much more wide-ranging conditions than previously understood. The OH/H2O, either in a steady state or actually static, does not appear to be daily migrating about the lunar surface in significant quantities. This limits the amount of OH/H2O that would land in dark polar craters and be trapped there for millennia. “Some of these scientific problems are very, very difficult, and it’s only by drawing on multiple resources from different missions that we are able to hone in on an answer,” said LRO project scientist John Keller of NASA’s Goddard Space Flight Center in Greenbelt, Maryland. This research was funded by NASA’s LRO program and a Lunar Data Analysis Program grant. LRO is managed by NASA’s Goddard Space Flight Center in Greenbelt, Maryland, for the Science Mission Directorate at NASA Headquarters in Washington, D.C.